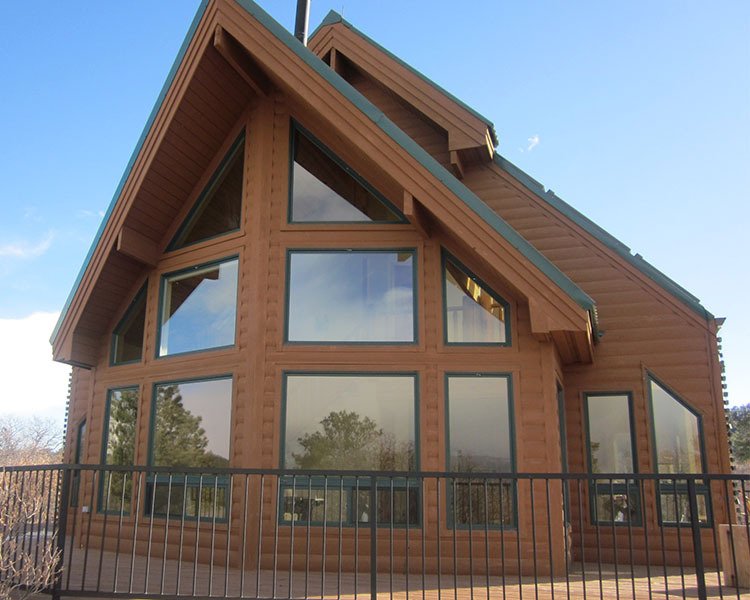 Located between holes 12 and 13 on the Bear Dance Golf Course this Larkspur Chalet enjoys great western views. GMH By Design was hired to customize a “cabin kit” to maximize the western exposure while at the same time respecting its location on the golf course. A stone feature breaks up the large expanse of the eastern gable end of the house. A balcony off of the master bedroom also helps to articulate the front face of the building. 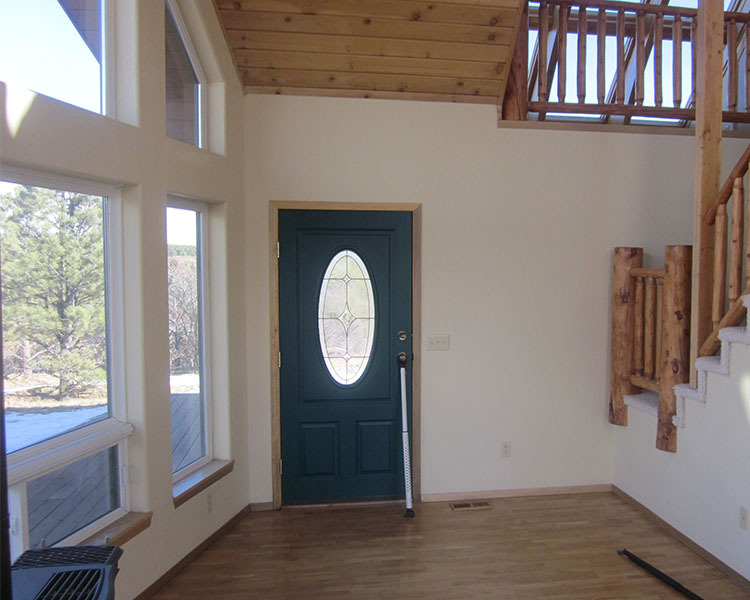 As a second home this cabin acts as a resort destination for the owner. 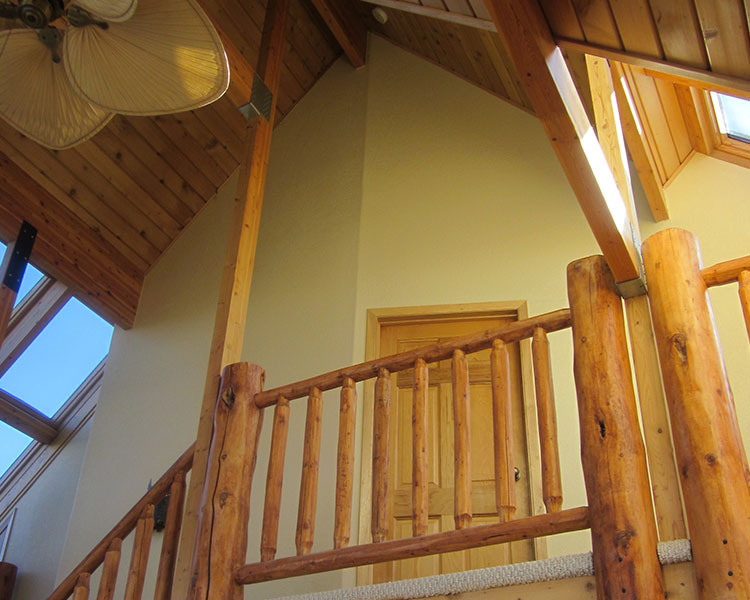 Our client for The Chalet was a retiring engineer looking for a small cabin with a resort feel. The land included a horse barn that we converted to a dance hall. At GMH By Design the most common question we are asked is “Why should I hire an architect?” Our immediate response is “Because you don’t want to tackle this project on your own!” A simple answer to a complicated question. As a licensed architectGMH By Design brings many things to the table including: Creativity, Design Education and Training, Experience with contractors and building departments, Social responsibility, Environmental awareness, and Budget conciousness. GMH By Design will help you to ecplore the possible options for your project, resulting in a building specifically designed for your needs and tailored to the way you live. We can help you avoid unpleasant surprises during construction and help the project run smoothly.